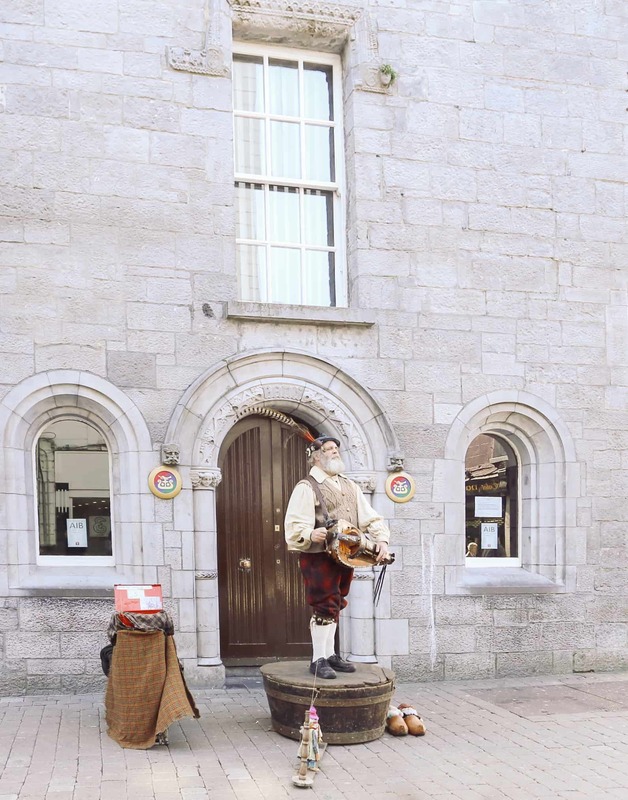 Galway is every traveler’s dream. It’s got everything: location, nightlife, good restaurants, entertainment and that je ne sais quoi. It’s got LIFE. 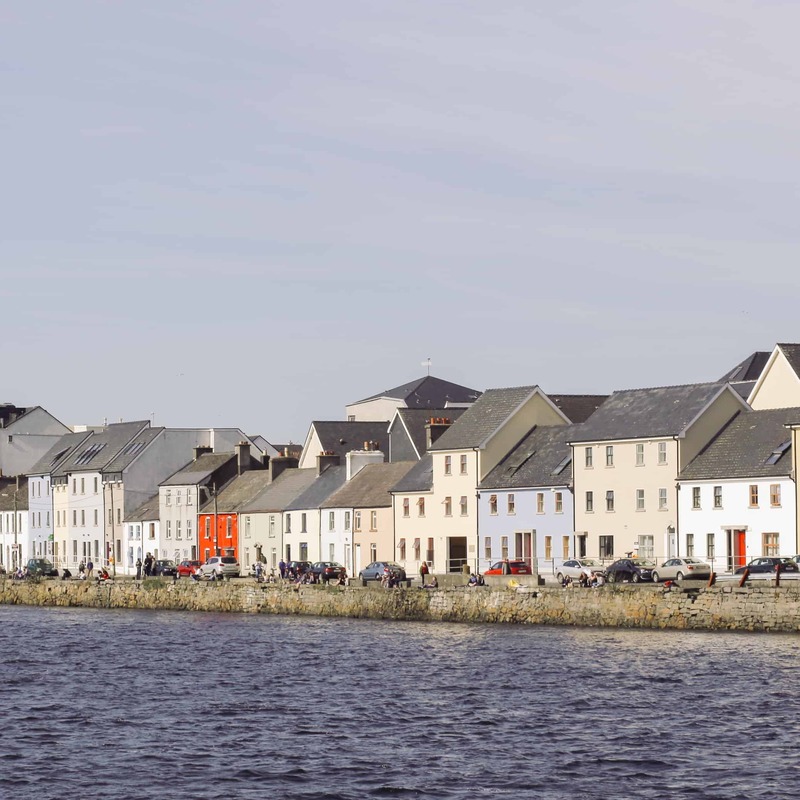 I’ve been recommending that anyone visiting Ireland stop at Galway for a few days, preferably 3-4, to truly experience this Irish town. 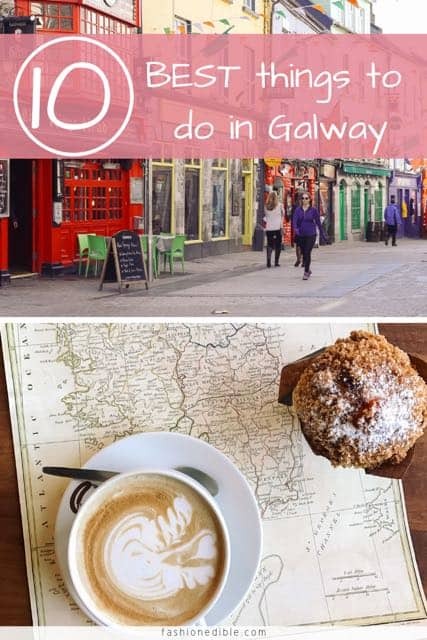 I’m sure you’re wondering how exactly to spend 4 days in Galway (besides drinking lots of Guinness) so here are a few things to do in Galway that involve food, walking and more. A cute pub and restaurant (though I don’t recommend dining here), The Kings Head is a great place to go for a late night beer and some live music. It’s got a lively and cozy atmosphere and I can’t think of a better way to spend a Friday night than sipping beer and chatting with friends. 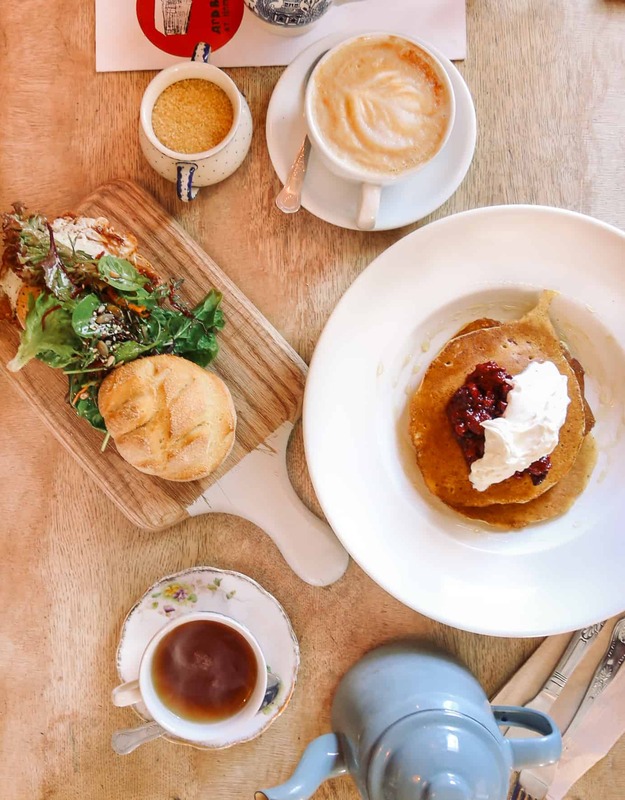 Not only must you grab brunch at Ard Bia but you must also come here for dinner – both meals were absolutely fantastic. 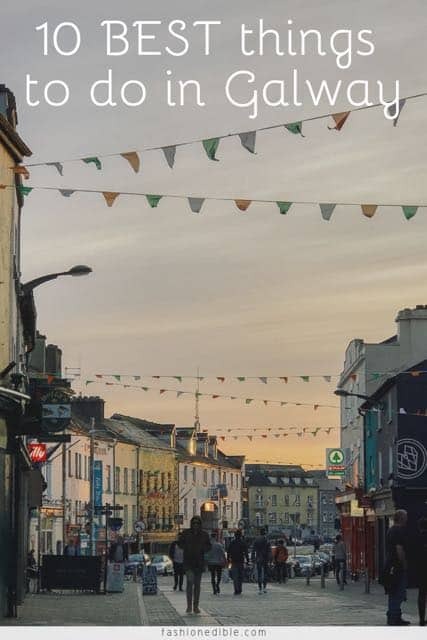 Ard Bia was one of my favorite restaurants in Galway and I actually wished we had another day in Galway just so I could frequent this charming restaurant one last time. The coffee is delicious as are the egg sandwich and pancakes pictured. Basically you can’t go wrong with anything you order off their menu. We didn’t join in on this fun activity but we did people watch a bit as hundreds of people just hung out in the Spanish Arch area. At one point a huge mass of students were dancing and singing their hearts out. It was a pretty cool experience! One of our favorite things to do while traveling is people watching. 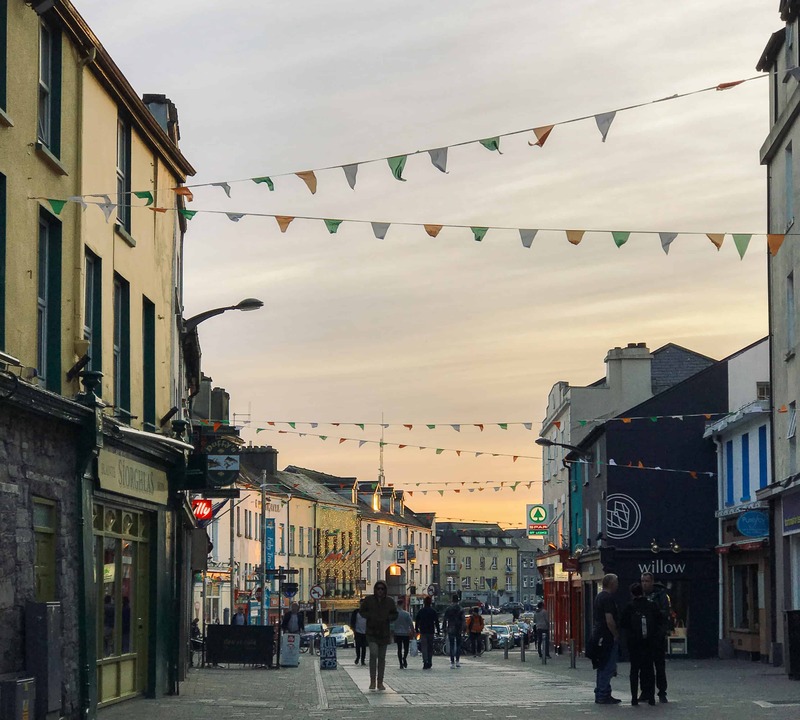 While you may have a hard time getting up after your prior evening’s shenanigans, you can’t miss the awakening of this sleepy town. Head to one of the coffee shops downtown, take a seat outside and watch everything come to life. Even if you happen to oversleep a bit and you grab your coffee at around 9am, you’ll still have plenty of people watching opps. I’ll be honest, Salthill didn’t quite meet our expectations or the hype we had read about. There are no boats to photograph but rather a small beach of sorts. Regardless, the walk is extremely enjoyable and you’ve got views of the sea greeting you with every step of the way. 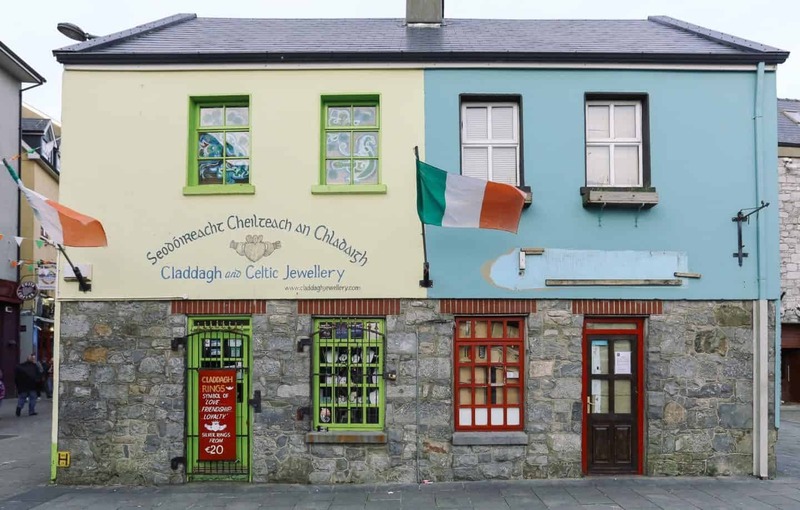 It’s definitely worth a visit and it’s a great way to exercise off all those Irish carbs! My other favorite restaurant which we frequented…twice. Again, everything we tried was fantastic and lucky for everyone visiting, they open for lunch. 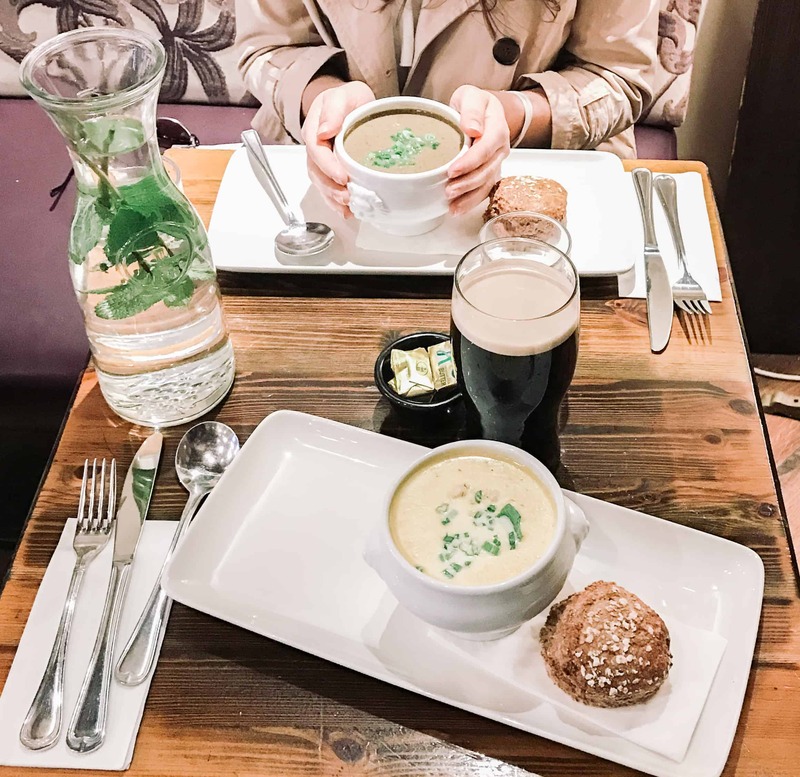 If it’s chilly out, you’ve got delicious hot soups waiting to greet you along with some fantastic Irish bread. Try their mushroom-coconut soup. While you might be thinking Ireland is too cold for ice cream, make an exception and think again. 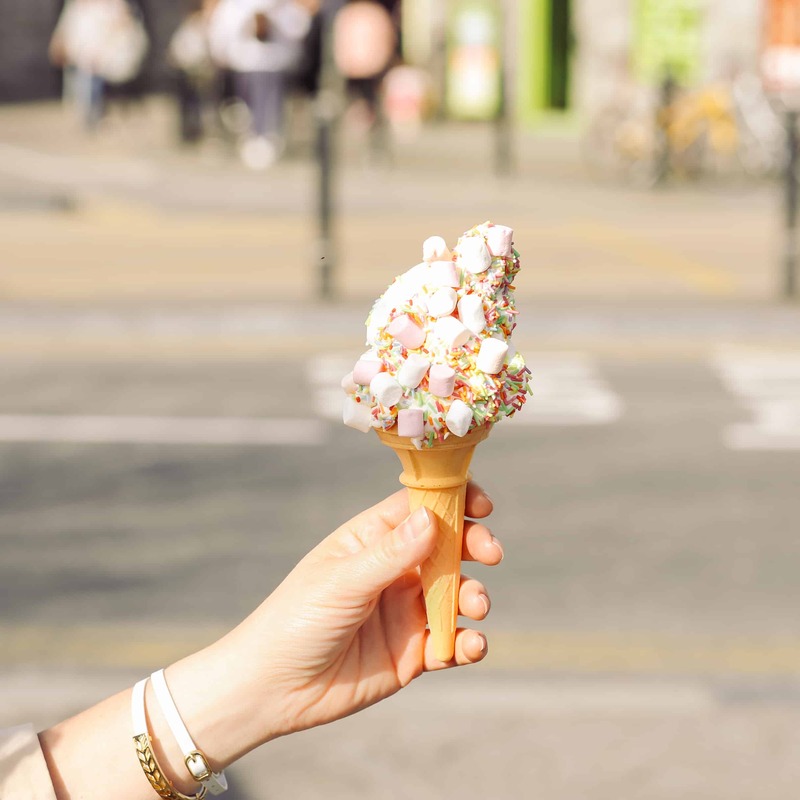 Look for the ice cream truck by the Spanish Arch and grab one of those delicious soft serve (yes, soft serve) cones. They dip it in all sorts of goodness…hello marshmallows and sprinkles. The Latin Quarter was full of street performers from musicians to tap dancers to guys who manned a pull bar. The pull up bar was a trick of sorts (it rotated once one hung on it) but if you were able to hold on for 100 seconds, you’d win 100 euros. The buy-in was 10 euros. Andrew made it to 76 seconds before his weight shifted too much and he slipped off. After we walked away, we encountered another pull up bar with a sign warning about the rotation….too bad we hadn’t seen that sign beforehand. 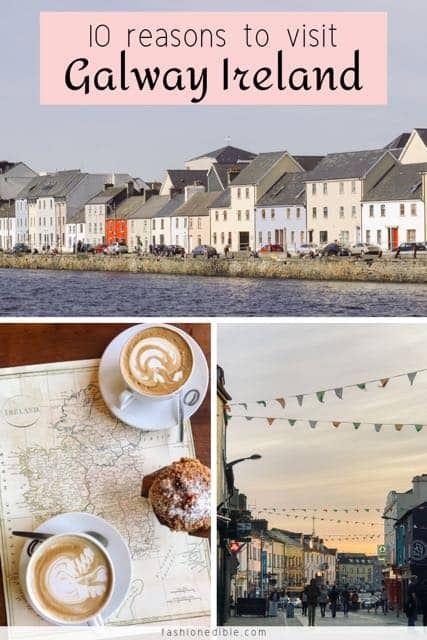 If you’re tired of the Galway hub (I don’t know why you would be but IF) or you want a change of pace and some stunning nature to impress you, then drive over to Connemara. This park is located in beautiful Irish countryside and the drive out there is one that will leave you in awe. It only takes about 1 hour and 20 minutes to get out there but you’ll be passing plenty of interesting things so drive time will pass quickly. Your photos are so beautiful! I have always wanted to go to Ireland. I didn’t realize how colorful it is there. 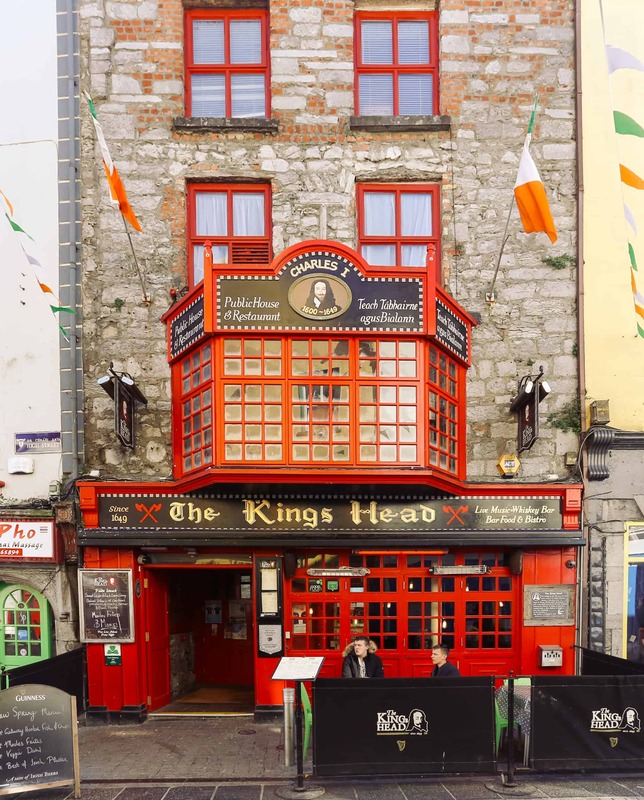 I love that photo of The Kings Head! Great info!! I don’t even like ice cream and I want that cone. Maybe just because I’d want to photograph it tho haha 🙂 you forgot “listen to Galway Girl by Ed Sheeran” 😋 Good stuff, pinning for later!! 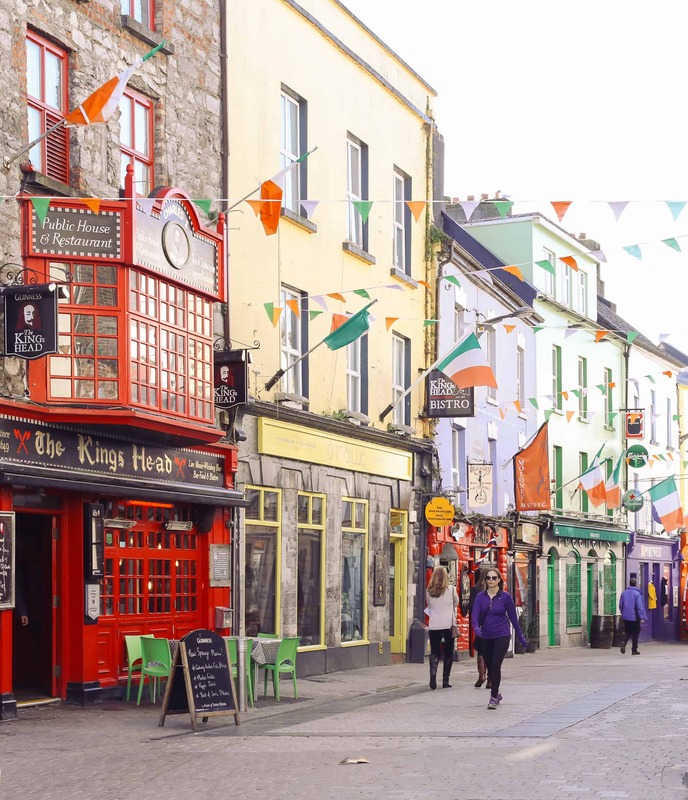 We’ve been to the Wild Atlantic Way nearby but never to Galway – the Latin Quarter looks fun! 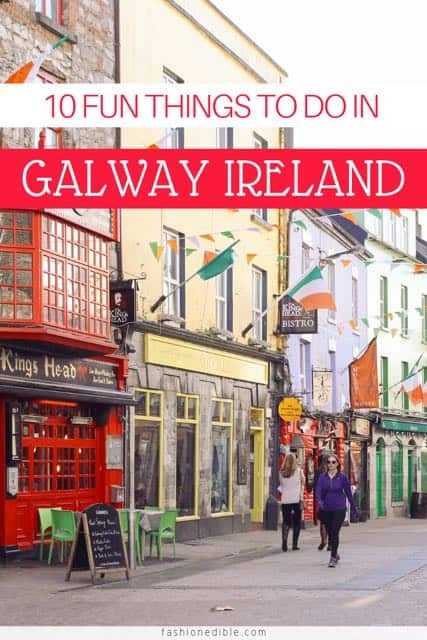 Great tips, saved for when I go to Ireland! 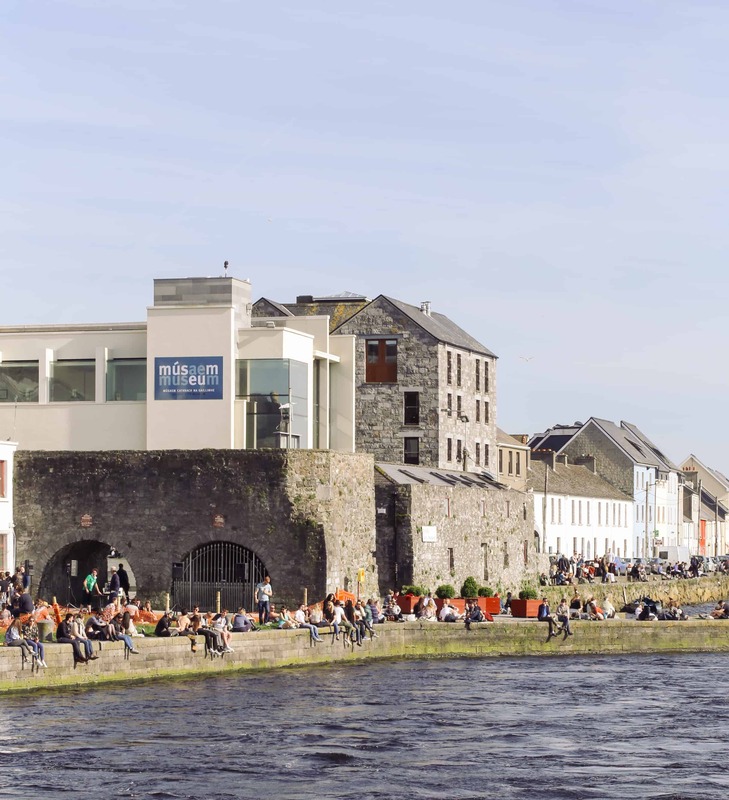 Galway looks like such a fun town! I didn’t know they had a Latin Quarter!